Full Stack technologist have a vast experience in the filed of library and information services. Our expert and dedicated staff have the capabilities to provide complete library solutions to your organization. We have already done more than 30 plus complete library projects across the country. Universities, museums, galleries, private & public libraries have a vested interest to share their collections of unique and rare materials in a unified way with their community of citizens, students, and researchers. Such institutions face increasing pressure to provide value-added services, flexibility and unified access to their material to end users, all within limited budgets. Complete Library Automation, Digital Libraries Repositories, Digitization, Consulting, design, analysis, implementation, integration, Technology Planning and Training, transformation/modernization, data conversion and migration, Library Website, All kinds of training, RFID initialization and inventory, Library building design proposal cataloging & documentation, digitization, monitor, support and outsourcing. We can transform your manual library to a revenue-producing asset that lets you work as much or as little as you want. Our focus is on providing innovative patron-centric features to enable you to deliver a high level of service to your library community. Key features include our discovery OPAC with reader recommendations, mobile apps, and e-content integration for a single point of discovery. Koha is a fully featured, scalable library management system. Development is sponsored by libraries of varying types and sizes, volunteers, and support companies worldwide. Koha is web-based multilingual Integrated Library System to cater the automation needs of medium to large size of libraries. FULL STACK Solutions offers customized version of Koha. Koha is a comprehensive system that will intelligently run your library – large or small, real or virtual. It is full-featured MARC based integrated library system and is customized to cater to the needs of libraries. After the 2.0.1 and 3.0.1 versions of LIBSOL live DVDs we are pleased to announce the release of LIBSOL Live DVD version 3.2.1 The current version of LIBSOLDVD contains 16.04.1 LTS LTS, DSpace- latest and Koha latest version with all other required software i.e phpmyadmin, Apache2 Web Server, OpenSSH Server, VSFTP Server, MySQL Server, PostGreSQL Server, Dovecot/Exim4 etc. All these software are pre-configured and pre-installed on a live DVD. The other main features like Email configuration both Koha and DSpce are already configured and the email will automatically be sent wile issue and receiving of books to Librarian as well as to Library Patrons. The others main functions are added for those librarians who are not acquainted to Linux they can change the banner and others all required thing manually not from command. The root user has been enabling and every librarian can use easily and replace the old version to this latest version of LIBSOL Live DVD. Ubuntu operating system (Lightweight Operating System) is chosen seeing requirements from libraries where libraries have low configuration desktops in their libraries but still wish to initiate their library web sites, complete library automation as well as wish to create digital libraries. Hope it will be useful for everyone! 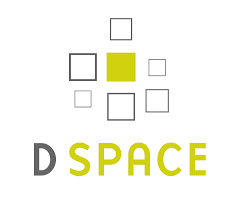 Dspace according to your organization needs. management system. It is used by over 1,000 academic, public and special libraries across the world. Full Stack Koha is web-based multilingual Integrated Library System to cater automation needs of all types of libraries. Full Stack Koha is full-featured MARC based integrated library system customized to cater needs of Pakistani libraries. In Pakistan libraries of esteemed institutions such as Bahria University Libraries, Pakistan Ordinance Factory POF, University of Agricultural Peshawar, Sindh Madressatul Islam University, Islamia College University, National Assembly, KP Assembly, and Pakistan institute for Parliamentary Services and many others . deleting and printing of data from database. Achieving a new level of library management. Avoiding the duplication of work. management system which will incorporate the future need of the user. housekeeping operations of the library. materials (i.e. manual catalog cards). up-to-date materials in the library. Lack of sharing of library recourses in the network. Inadequate and poor quality information services.